Kept me awake all night wondering who was going to win. No one could have predicted this. How often does a number one seed actually win a best girl contest though? But yeah this should have been the outcome from the very beginning. More that when DitF started airing, by episode 2 everyone had already proclaimed that Zero Two was best girl of the season (maybe the year). That proclamation hasn't wavered all season either. Damn, Ep13 made it a bigger curbstomp than I thought it would be. I thought it would be worse. Same here. After ep.13 aired I thought that Ichigo would score less than 1k votes. If it wasn't already over from the start, yesterday's episode sure as hell ensured it was. I think we knew the results from the very beginning. 5 thousand votes... To be fair that Episode 13 came out at the perfect time to make the difference even bigger. I just binged watch DitF today and Ep. 13 did no favors for Ichigo. Although, I didn't think she was going to win either way, 002 is better. 002 is a better character anyways. Well, if it's about better characters, the girls at Antarctic would be the winners because they're better than both in that regard. Tbh, I will recognize UCF Shima Rin as National Champion Best Girl for Winter 2018. While the selection of Georgia 02 is no-brainer, the selection of Alabama Ichigo over UCF Shima Rin is disgusting. It's unfair to The G5 schools lower seed girl. Hence, the final is invalid. I will recognize UCF Shima Rin as National Champion Best Girl for Winter 2018. Rin. The best girl is Rin. Rin will always be my best girl. After this weeks episode (especially this Scene) it was clear that she was gonna win. Well deserved though, Eo Two is the best! I've only watched Violet Evergarden and that was a wild ride of emotional feels. Her character development was great. Man I haven't cried for an anime since Angel Beats wayyy back. So I'm kind of surprised why she didn't win. You did good Ichigo, I'm proud of you and your performance in this and you'll the number one in my heart. But congrats to Zero Two. That was expected either way since the beginning with her popularity and even if Ichigo is my favorite, I still like 02 too so I'm happy to see her winning either way since Ichigo and Zero Two are my favorite characters in the show and also in this season. 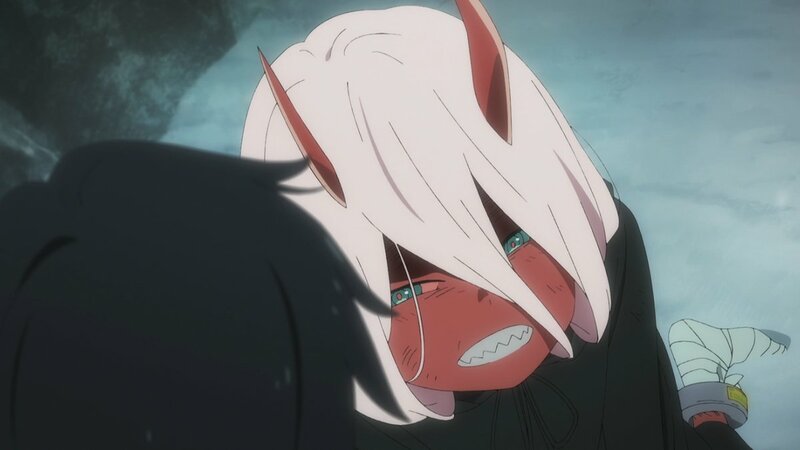 Congratulations Eo To indeed best girl worthy.